Zen Archery workshop on Maui, Hawaii, August 15 thru 17th, 2014. | The Kyudo Project Blog! 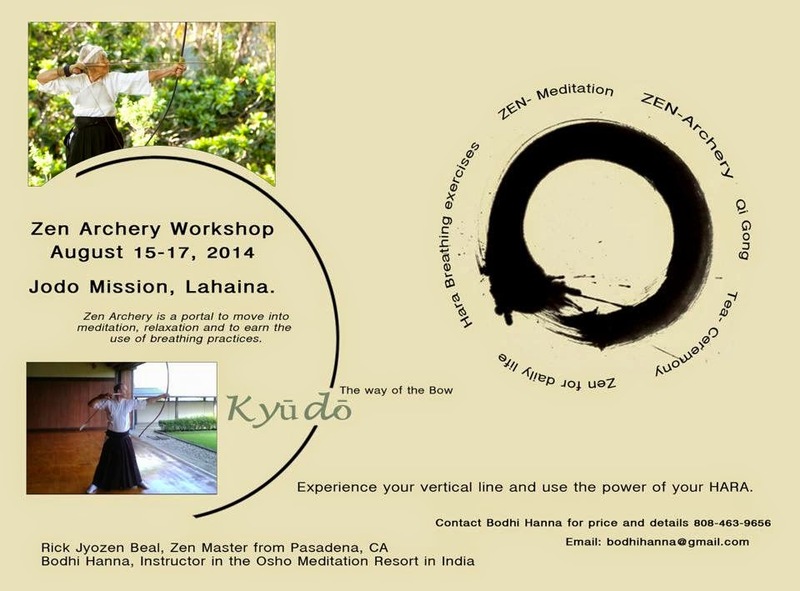 Zen Archery workshop on Maui, Hawaii, August 15 thru 17th, 2014. A short reminder for Zen Archery. A workshop will happen on Maui, 15-17. August in the jodo Mission in Lahaina. If you need centering. Relaxation, Breathing and letting go, Zen-Archery is a great tool.